VIDEO - Superpower Football: Patrick Owomoyela - BVB could come to India! 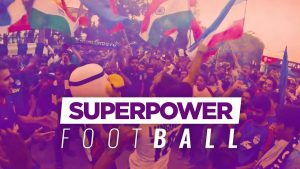 Home / German Football / Bundesliga / VIDEO – Superpower Football: Patrick Owomoyela – BVB could come to India! Previous Bhubaneswar to host Minerva Punjab FC’s first AFC Cup home match! Next Champions Minerva start Hero Junior League with 3-0 won over United Punjab FA!